The Scottish Landscape Photographer of the Year – Collection 4 is packed full of breathtaking images of Scotland’s land, sea and urban places, all captured by the winning and commended photographers that took part in the 2017 competition. Finished to the very highest quality, Collection 4 is finished in heavy weight 170gsm Valetta Silk, printed and casebound by Gutenberg Press. 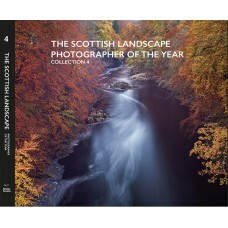 From the pastoral expanses of the Scottish Borders to the rugged mountains of the Scottish Highlands – and everything in between – this collection showcases the very best images of those places and by the very best photographers, so with every turn of the page it is sure to please. 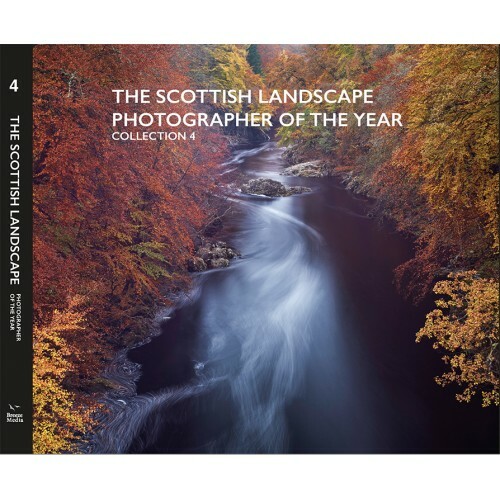 The aim for the competition, and through this book, is to showcase the work and raise the profiles of the many talented photographers who live in, and come to Scotland to capture its breathtaking scenery through their lenses. The competition also aims to promote photo tourism, conservation and encourage people to explore and enjoy the many wonderful places, towns and cities that Scotland has to offer the visitor. It is a true photographer of the year competition, where the overall winner is chosen from a portfolio of work rather than a single image. Their photographers are judged on the quality of their images combined with their knowledge of field-craft and genuine photography skills.